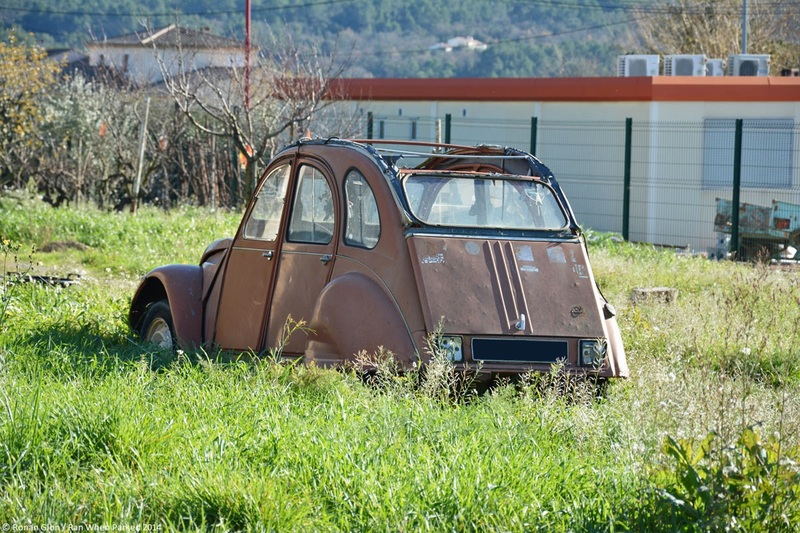 2CV prices have been steadily rising for the past couple of years, making it harder and harder to find one that’s been all but abandoned in a field, a junkyard, someone’s yard or a barn. The ones you do come across are generally too far gone to save. There are still some gems hidden in rural areas, though finding them can be like looking for a needle in a haystack. We photographed the early-1980s 2CV6 Spécial featured here in a small and decidedly remote village located almost halfway between the Mediterranean Sea and the Alps. It was technically on private property but it wasn’t fenced in so we saw no harm in walking up to it to grab a few pictures. The registration number was issued in 1989. The 2CV was still in production then but a look inside revealed the Spécial started life orange, meaning that it was built in the early 1980s. The headlights are missing, and the 2CV aficionados will tell right off the bat that they were likely removed and used to replace the square units on an earlier model, a modification that is popular even today. This Spécial is in rough shape, there are no two ways around it, but it’s a perfect candidate for restoration because it’s straight, mostly complete and surprisingly rust free. All of the missing and damaged parts can be sourced from a number of aftermarket vendors. Unfortunately, we saw no indication that this 2CV is going anywhere anytime soon. Tags: Citroen, Citroen 2CV, Citroen 2CV Special. Bookmark the permalink.